Manchester Marriott UpLighting. 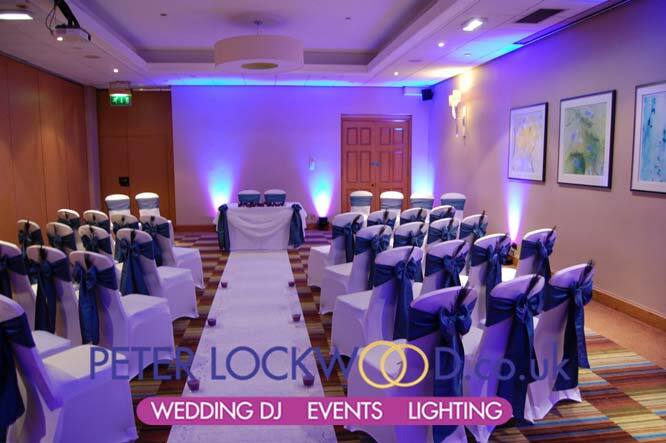 Purple wedding Uplighting was the colour selected for the ceremony and the evening party in the John Logie Baird Suite in the Victoria & Albert Hotel The first two pictures show the room set for the wedding ceremony, the last one is from just before the wedding guests enter for the evening party. 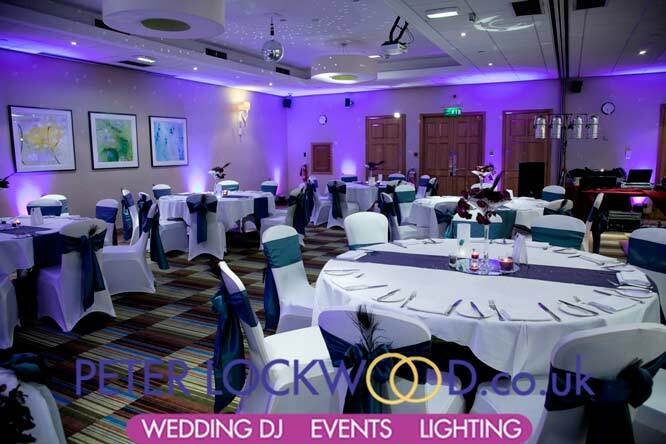 I can provide my wedding uplighting in lots of different colours, perfect if you want to colour match the Victoria & Albert Hotel in your wedding colours or you want bold colour to make your wedding stand out. 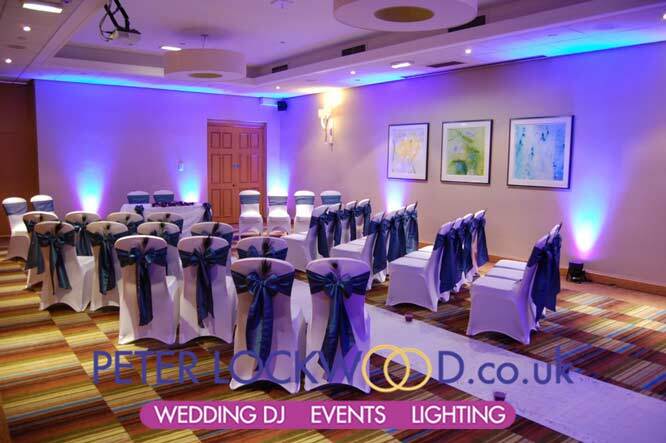 Manchester Marriott UpLighting is a great way to transform the venue to your Wedding Venue.